Times have changed. Nowadays, portals are a student’s best friend. Why use a student portal? The purpose of portals is to make life easier for everyone — the student body, teachers, and parents. Easy access to online grades, class schedules, and financial aid information. Improved communication between students and faculty. Simpler access to information about extracurricular activities, sports, clubs, and community service opportunities. Student portals should increase productivity and improve communication while saving students and faculty time. Keep the login simple: In the digital age, people want information ten seconds ago. If a student or teacher encounters multiple logins, password checks, and confirmations, they may become frustrated and not use the technology. A single sign-on may be best. Let your student portal reflect your campus experience: Your student portal should be alive, just like your campus. It should be filled with easily accessible course information, blogs, wikis, and discussion boards for all student groups, sports, and clubs. 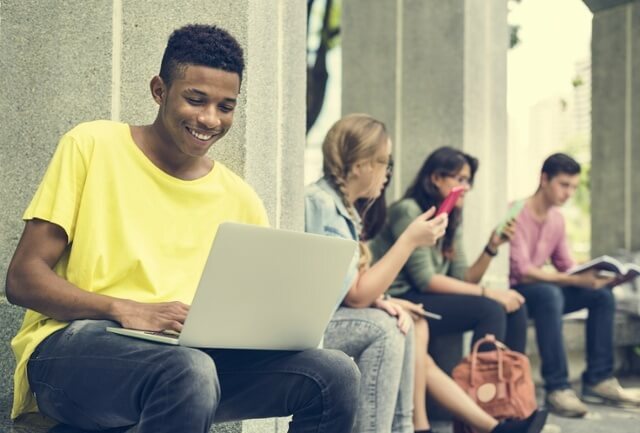 Provide a multi-platform experience: Today, students use many devices to access information including smartphones, tablets, laptops, and desktops. Your portal should have a mobile and desktop browser to ensure a smooth browsing experience. Your students want to access information whether they are at home, on the school bus, or on the go. Any site that is not optimized for mobile use will deter them from seeking important information. Use self-service applications: One of the greatest advantages of having a student portal is the flexibility it offers. Students can complete tasks on their own time. Self-service applications can help faculty post grades or even check their remaining number of sick and vacation days. As a school administrator in the digital age, consider adopting a student portal to make your life easier. Given the prominence and use of smartphones, tablets, and social media, student portals can be integral to bridging the gap between school and home. Having a student portal simplifies life for staff, teachers, students, and parents.